This debut collection of short fiction by Thomas Sanfilip is an auspicious arrival on the shifting currents of contemporary writing. Equally as compelling in breadth and scope as his critically recognized poetry, The Killing Sun explores the tragedy and duplicity that test the authenticity of modern lives seeking self-fulfillment. Though thematically interwoven, Sanfilip’s stories take no one specific geographic locale as their starting point. Rather, his stories begin and end within the very characters themselves whose conflicted perspectives of reality lure them into believing they have found the answer to their own angst and disillusionment, but in the end pay the consequences for their own self-delusions. Sanfilip’s deft prose consistently lifts the mundane and inconsequential to levels of real artistry and literary style without pandering to meaningless effects or post-modernist ennui. His stories are uncompromising in their probing of the distorted mirror and crippled social ethos of our time with subtle, yet unrelenting keenness. In the end, he exposes in painful but brilliant light the tenuous relationship between faith and reason, image and illusion, enlightenment and despair as played out across the kaleidoscope of modern lives. 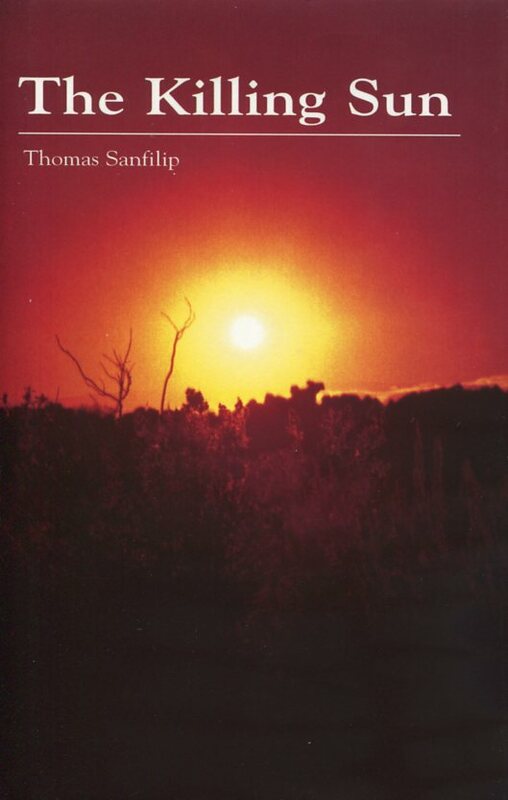 Author and poet Thomas Sanfilip presents The Killing Sun, an anthology that follows different characters in their quest to fill the emptiness in their lives. Each individual seeks an imagined prize that will be the answer to their doubts and lack of self-fulfillment; yet each will also confront a terrible price for the delusions they place upon themselves and their perceptions. A grim compilation of the dark side of the human experience, leveling close scrutiny upon the illusions and lies that people scramble for to give a hint of meaning to their lives. The Killing Sun is not by any means a collection of short fictions for nighttime relaxation. In each of the 19 short stories, the author relays the confusion involved when some minds seek self-fulfillment. Tragically, the characters are oblivious to the pain inflicted upon themselves and those around them, as they seem to have lost touch with reality, faith and the ability to reason. Recognizing that this book is a collection of short stories, their plots remain hard to discern. The author gives enough description in each story to entice the reader to finish. For those interested in the psychological undoing of their fellow human beings, this book is for you.